We continue our monthly Heritage Business Spotlight with Simmons Center Market! 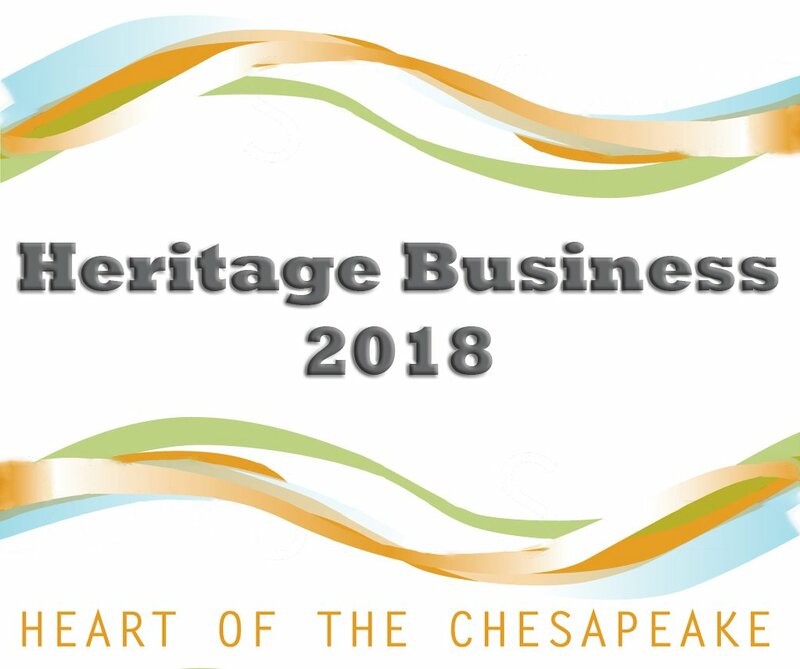 Each month, we recognize a business with deep ties to the Heart of the Chesapeake Country Heritage area. It should come as no surprise if you feel like you’re at home when you walk into Simmons Center Market in Cambridge. 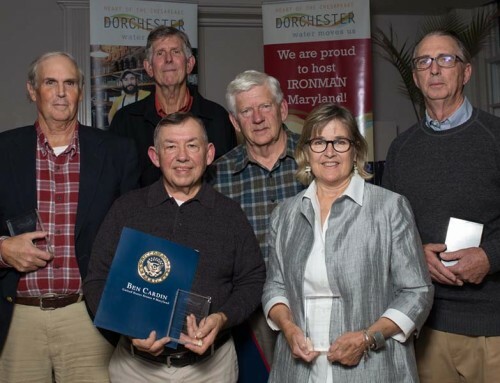 The family-run business is one of the oldest, continuously-running grocery stores on the Eastern Shore, and many of the customers have been coming there since they were small children, accompanied by their parents, who, in turn, were accompanied by their parents. Center Market has been a steadfast establishment on Race Street, supporting the community and its residents since Jimmy and Elizabeth Simmons opened the store in 1937. 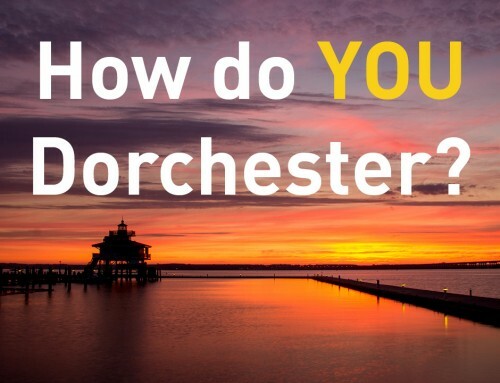 It is as much a heritage pillar as it is a promoter of Dorchester County’s heritage. The store is now owned by Ricky Travers, grandson of the original owners. 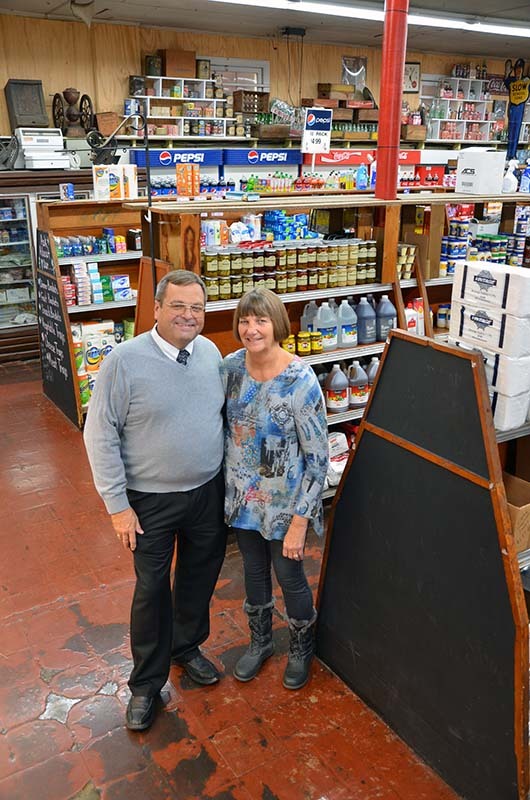 He and his wife, Rosi, adhere to the same values and maintain the same consideration for their customers as his grandparents did when they first opened its doors. They wouldn’t have it any other way. At any given time, Ricky likes to say, you may find four generations all in the store together. 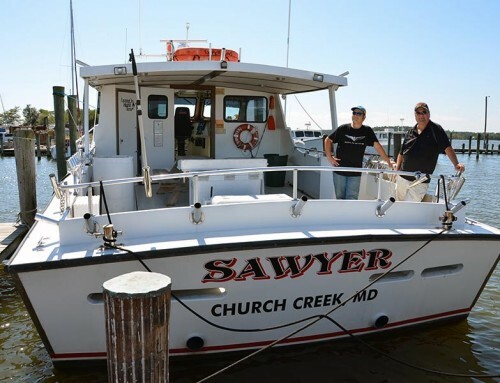 His own parents, Joane and Calvin Travers, continue to work there a couple of days a week. His sister, Lollie Travers Walters, works full time in the business, as do two of his four sons, Rick Jr. and Randy. Two other sons, Ryan and Rob, are full-time firefighters but help out occasionally. Two of Lollie’s children also work in the store part time, and Ricky’s own grandchildren are frequent visitors to the store, where they like to “help” stock the shelves. 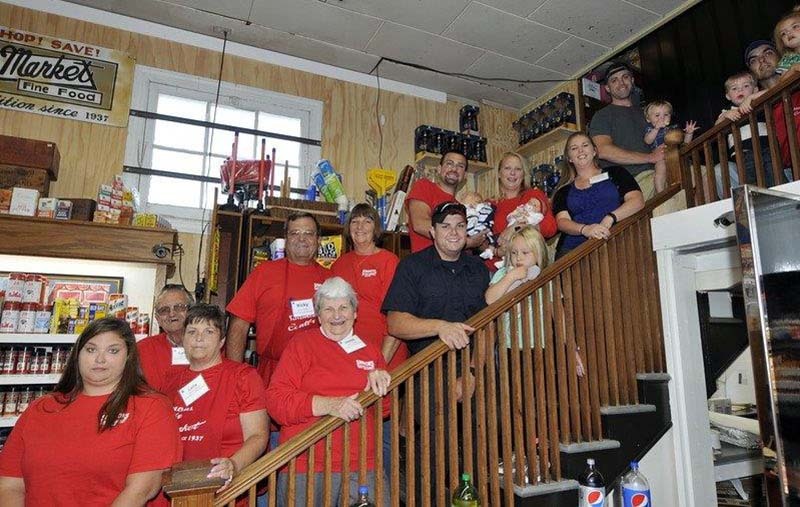 The second through fifth generations of descendants of the store founders include, starting from the bottom of the stairs at left: Brie Walters, Calvin Travers, Lollie Walters, Joane Travers, Ricky Travers, Rosi Travers, Rob Travers, Randy Travers holding Calvin, Kat Kastel, Amy Travers holding Brindlee, Heather Travers, Ryan Travers holding Benton, Brody Travers, Rick Travers holding Kaleigh. (Family members not pictures: Ashley Travers, Renee Haehnlen, Gavin Travers, Brad and Chesea Walters and their children, Everly and Oaklyn, and Doug Walters. In fact, being able to work with his extended family and foster connections to customers who become like family are what Ricky describes as the most fulfilling aspects about the business. Christmas is a special time at the store, with extensive holiday decorations and inventory. 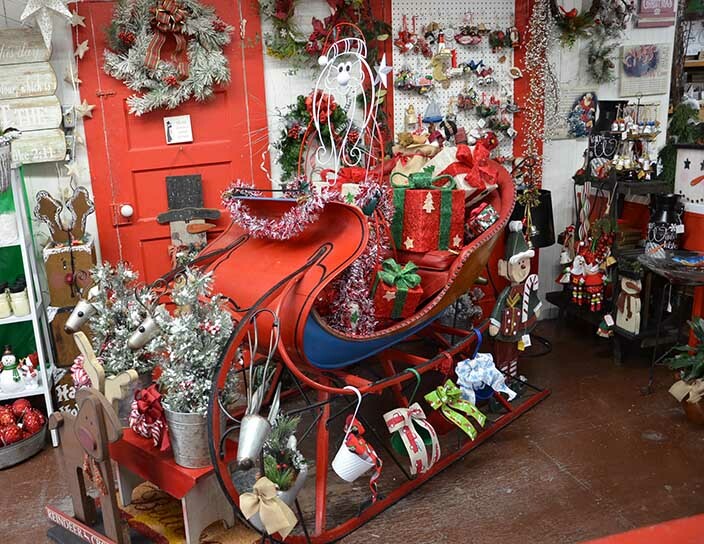 They carry about 40 kinds of old fashioned Christmas candy that is not available anywhere else in the area, fill their greenhouse wall-to-wall with bright poinsettias and feature a vast array of handmade Amish crafts and other unique one-of-a-kind gift items in their gift shop next door. 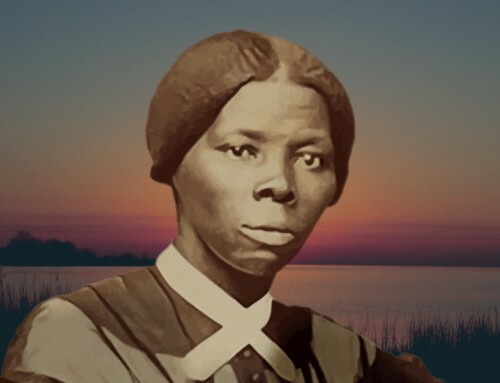 The Simmons family established their reputation as innovative marketers almost from the start. They were the first to introduce self-service grocery shopping on the Eastern Shore in 1945 when they provided shopping carts in their store. They brought in the woman who portrayed Aunt Jemima to prepare pancakes for their customers, and he brought in Planters’ Mr. Peanut. In 1953, in commemoration of Orson Welles’ famous War of the Worlds, Jimmy Simmons arranged to have an airplane drop flyer saucers, which could be redeemed for prizes in the store. 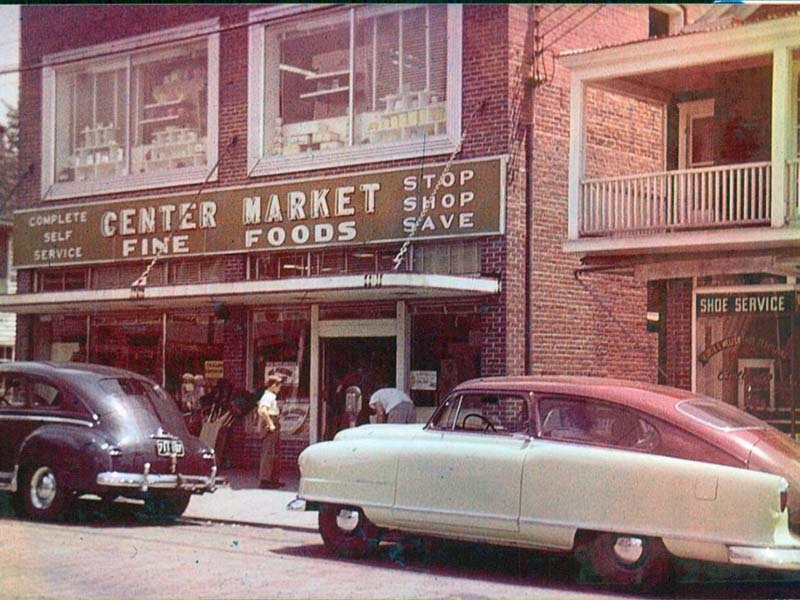 Center Market was one of the few businesses on the predominantly white Race Street that served the African-American community during the time of segregation. Over the years, the family had collected an impressive amount of supermarket memorabilia that dates to the 1930s. Look up at the highest shelves lining the inside perimeter of the store, and you see vintage brass cash registers, antique meat slicers and scales, wooden boxes that held stock, original boxes of discontinued items, and more. The display demonstrates a deep appreciation for the business’ heritage. “It is sort of like a walk in history when you come in,” Ricky said. 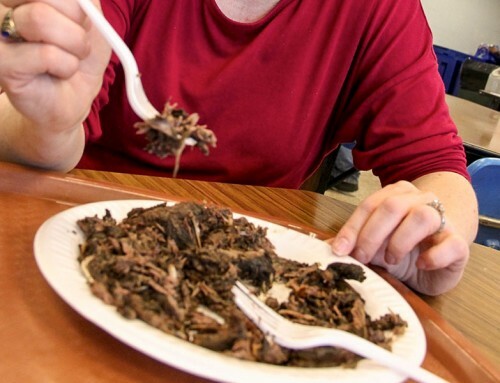 Today, the store remains true to its roots, carrying staples like fresh fruits and vegetables, as well as meats, cut and ground fresh multiple times a day; country sausage, which is made every day; fresh turkeys at Thanksgiving and Christmas; antibiotic-free pork and chicken; and specialty gift baskets. They still get their molasses in 55-gallon barrels and draw off that for the jars they sell. The Old Time Barrel Molasses carries a label that was designed by Ricky’s grandfather and is made from the same family recipe that goes back to the 1950s. 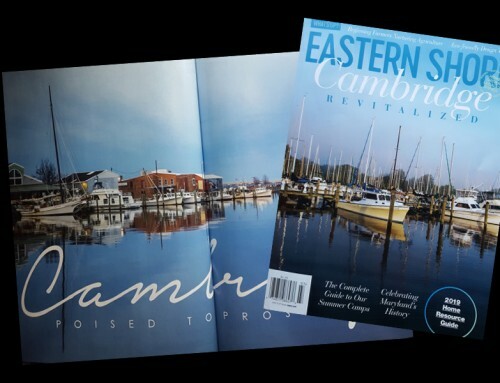 They still deliver groceries, baskets and greenhouse items around Cambridge throughout the year and even offer delivery to boaters who dock at the local marinas. “It’s a trip back in the past because you’re not going to find this when you go to other grocery stores,” Ricky said. “When I look at this building, I look at many years of my life. I grew up here. I started there when I was about three months old in a playpen and I’ve been there my entire life. An antique sleigh filled with gifts inside the gift shop. *Win a Gift Certificate from Simmons Center Market! As part of our Heritage Business Spotlight, Simmons Center Market will award a $25 gift certificate to one person chosen randomly from those who post a bit of trivia or a positive experience they have had with Simmons Market. Just share your comment on our Facebook post by November 30 to be entered in the drawing. Shirley Witt turned around and generously donated her gift certificate to a needy family. “Water moves us because of where we live. 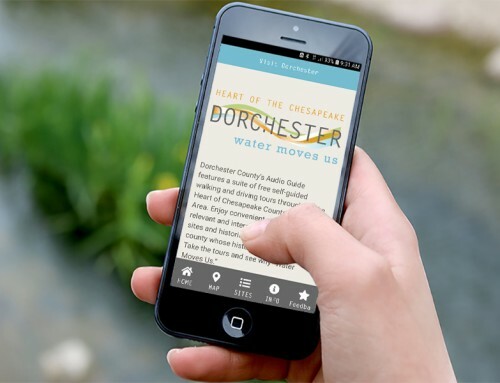 A lot of people move here because of the water, and they become our customers. 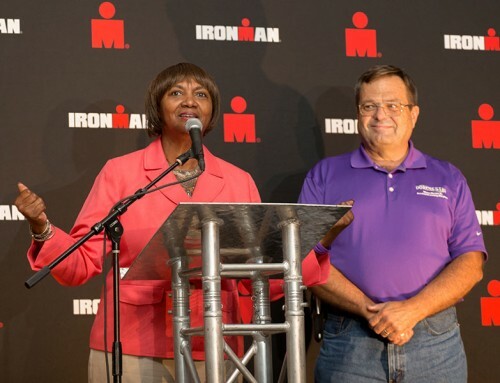 “It is such a big part of our county. God’s blessed us with a beautiful county. We’ve got rolling fields and farmers’ harvests in one part of the county. You head south, and you’ve got beautiful waterways, beautiful wildlife – bald eagles – they’re around everywhere. You can go out and take a ride to Blackwater and see all the wildlife around. 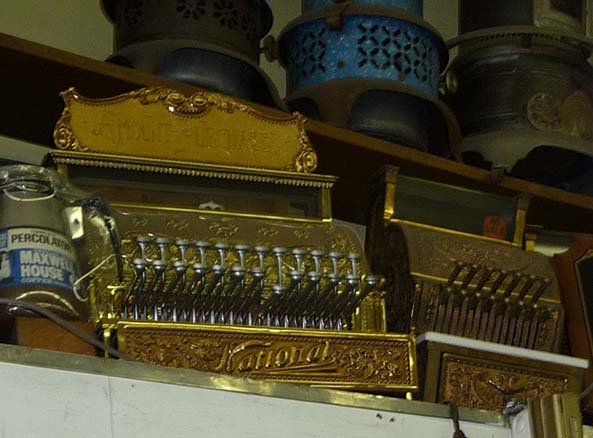 A few of the antiques that adorn the shelves above the groceries.